Levy chocolate bars are wrapped in tinfoils and the color of the packaging changes along with the cocoa bean origin. Light blue is for Belize. In the western world, most homes get stocked up with chocolate treats around the holidays. Everyone has their favorites yet I feel most chocolates out there are a joke – or, at least, very far from the original ingredient. Real chocolate melts slowly in your mouth yet it does not taste like butter. It is rich and dark and pleasurably bitter and you cannot eat a lot of it. Actually, just one bite is plenty. It is the perfect ending to a meal. 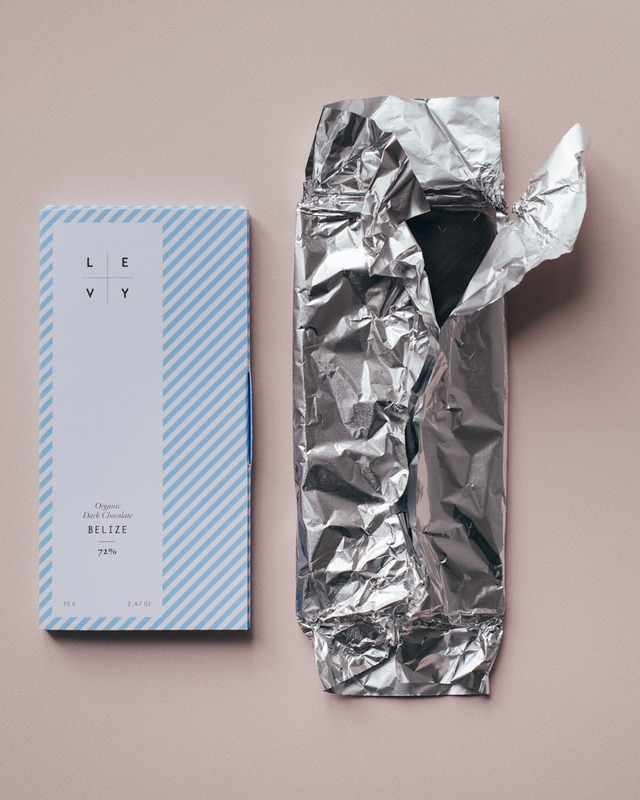 The best chocolate I have ever tasted (and I have tasted a lot) is the bean-to-bar chocolate Levy. Handmade in Helsinki, the chocolate contains two organically grown ingredients: cacao bean and cane sugar. The US based chocolate companies may be much more famous, and hell yeah, the package design is great, but in my opinion, the actual product does not have the same depth as Levy. Just like with wine, or coffee, you want the aftertaste lingering in your mouth, that is what rounds up the whole experience, and that is what makes the product feel alive.